La Sella Golf is located on the slopes of a mountain, next to the Montgó natural park, surrounded by Mediterranean woodland and hills. 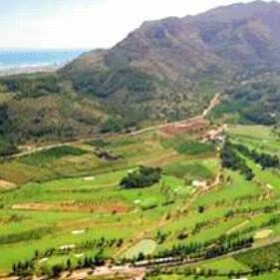 Pine trees, orange trees, olives and almonds add colour to the course and, although they are pretty to look at, will cause big problems for less accurate players. 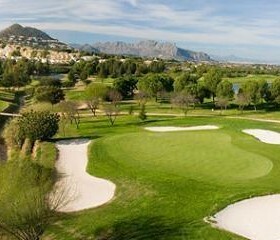 La Sella’s 18 holes par 72 course is not a particularly tiring one. It is varied and thought provoking, and moderate in length. If you know how to use all of your clubs, you will be able to get a good result here. 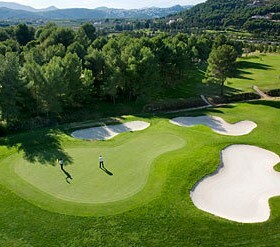 The course is suitable for players of all levels, with the difficulty apparent at the tees. However, pay attention! The designer, with the expert help of José María Olazábal, designed the course in such a way that if you miss the green, you will need all the virtuosity of the Spanish champion to save the par.. Putting green, driving range, restaurants, buggy hire, clubhouse, changing rooms, showers, sauna, club hire, pro shop, tuition.